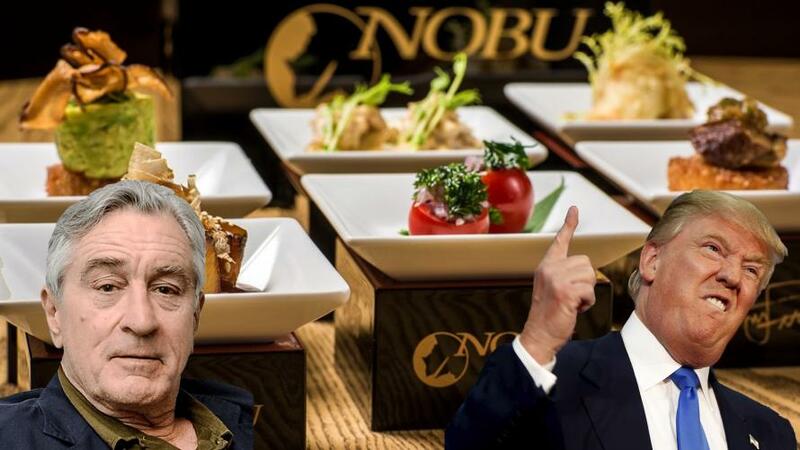 President Donald Trump is no longer welcome to Nobu, the upscale restaurant chain co-founded by actor Robert De Niro - who called Trump "Jerkoff-In-Chief" and a "fuc*ing fool" in a profanity-laced awards show tirade in January. De Niro told the Daily Mail that he would "never let Trump into any of the Nobu restaurants," adding "I don't care what he likes. If he walked into a restaurant I was in - I'd walk out." 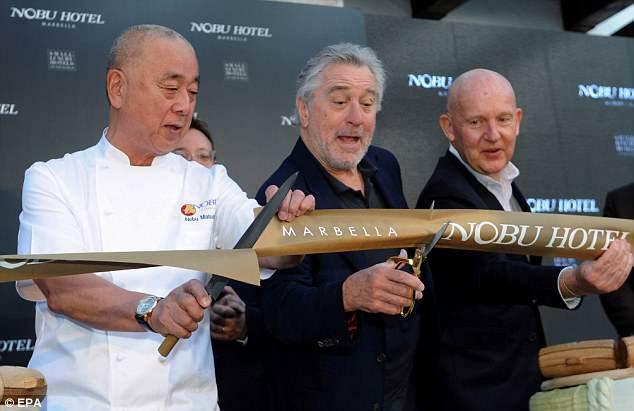 Nobu, a swanky Japanese-Peruvian fusion chain, was co-founded by De Niro and chef Nobu Matsuhisa in 1993 and now boasts over 30 restaurants and hotels around the world. Matsuhisa took a far more peaceful approach - telling the Mail "It's my dream for Trump to sit next to Bob. To make them sushi!" De Niro said of Trump: 'It was fascinating to watch The Post. That story took place nearly 50 years ago, but there are many parallels with today obviously. 'At the time of the story Donald Trump was suffering with "bone spurs". Today the world is suffering from the real Donald Trump. De Niro went on, "Our government today, with the propping [up] of our baby-in-chief - the jerkoff-in-chief I call him - has put the press under siege, trying to discredit it through outrageous attacks and lies." So no, Chef Matsuhisa's dream for De Niro and Trump to eat sushi next to each other is probably a longshot.